I just viewed an amazing (10 min.) video about Thinking Maps. Pat Wolfe, an educational brain researcher, explained how the 8 Thinking Maps help our brain add visualizations to our learning, so that our brain can remember better. She asserts that thinking maps allow the freedom for higher order thinking to occur naturally and not necessarily with teacher scaffolding. 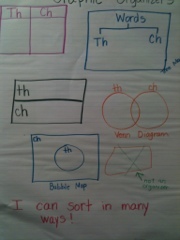 Each thinking map is used specifically for certain types of thinking. I received some training from my school district last year and was amazed at the power of thinking maps. Before, I had consistently used other visual maps including Venn Diagrams and T-charts. 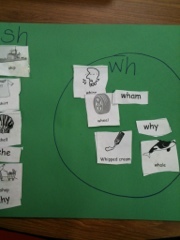 A bubble map is used for describing and using adjectives (like writing all the characteristics of a favorite animal). 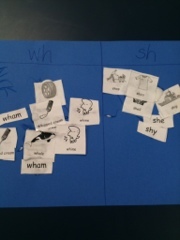 A tree map is used for classification (like classifying sight words containing 2, 3 or 4 letters). A circle map is for defining a subject in context (like brainstorming what you know about Poetry). 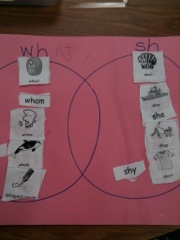 A double bubble map is used for comaparing and contrasting (spiders/insects) It can be used instead of a Venn Diagram. A flow map is used for sequencing (ex: listing the sequence of a story, ordinal positions in line) It starts at the left and flows to the right. A multi-flow map is used for organizing and thinking about cause and effect (why is it raining, what are the effects of rain?). 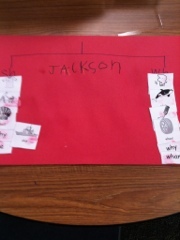 A brace map is used for organizing whole to part relationships (the parts of an ant: head, thorax, abdomen) and then listing details about each. Thinking maps are definitely worth your time! I as a visual learner have started using them myself, because I am always itching to organize something!